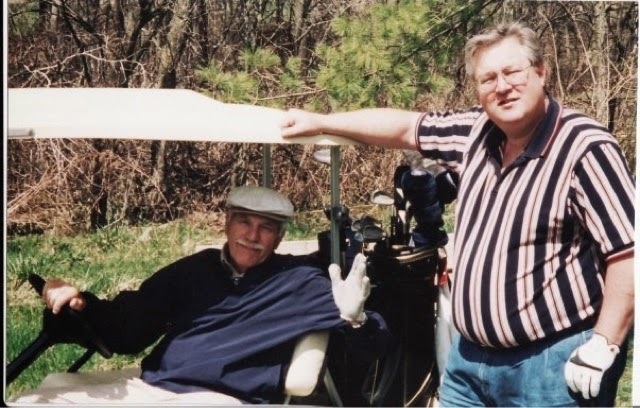 I often find myself thinking about my father, the Colonel, and Gerry, the Big Man, because they had such great perspective on life and on golf. One of my favourite memories was of the two of them playing in Picton. It had been a long day for the Colonel. His back was aching and he'd been struggling with his game. We were all standing on the seventeenth tee waiting for the group ahead of us to get out of range and the old Colonel was more slumped and tired looking than usual. Gerry put his big arm around my father's shoulders and quietly said these words to live by: "Colonel, it just doesn't get any better than this." My old father laughed, shook his tired old head, and said, "You're damned right." That's what you call perspective. 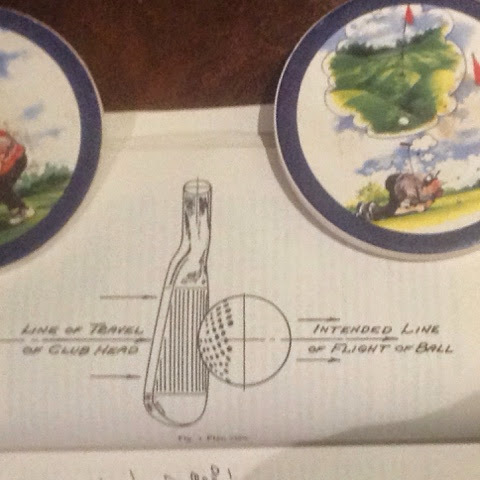 When I look back at my time on the links with those two wonderful guys, I realize it just didn't get any better than that. Labels: Golf. Departed Loved Ones. I'm enjoying your blog. It's all good advice and anecdotal evidence. Love it. Thanks, Brian. Who loves ya?